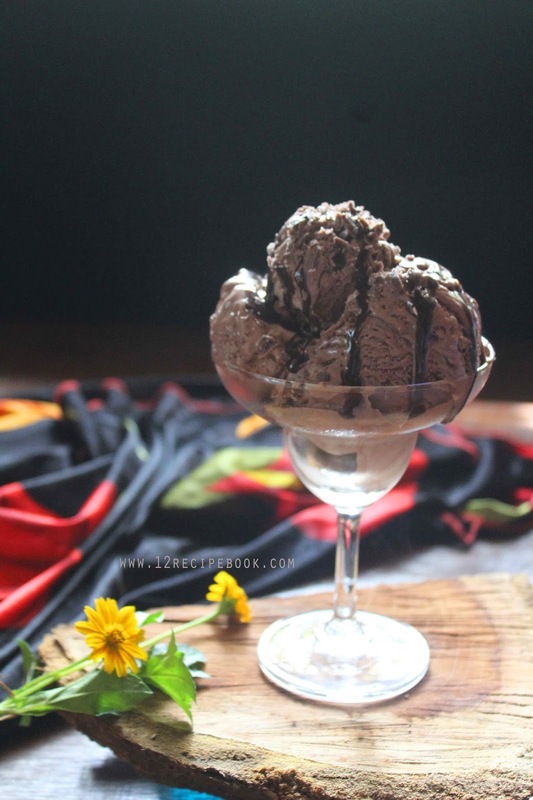 Ice creams are cool sliding treat for our parchment throats.Making an ice cream without an ice cream maker is simply easy and have the same perfection. It is so creamy, smooth and mouth watering. 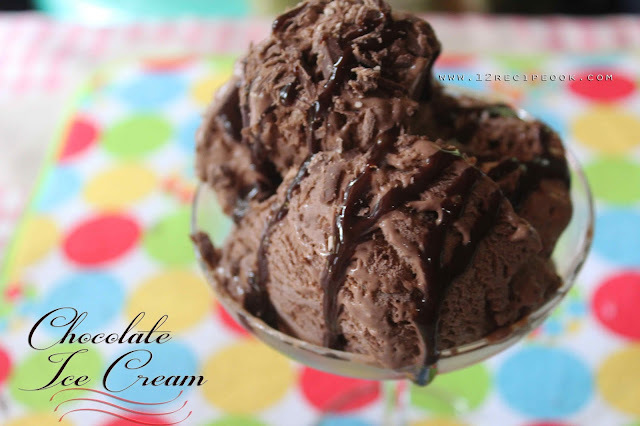 In a machine it almost takes 50minutes for an ice cream to make...but we can do it with less than 10 minutes work!..Condensed milk and whip cream are the two magical ingredients for making ice creams. We can add the choice of our flavors, extras to make it special! In another bowl, add whip cream, condensed milk, cocoa powder and vanilla essence. Beat until fluffy and thick (about 4-5 minutes on high speed). Fold it with chopped chocolates and almonds. Pour in to an air-tight container and freeze overnight (8-10 hours). Rest the ice cream in room temperature for 4 minutes before scooping. 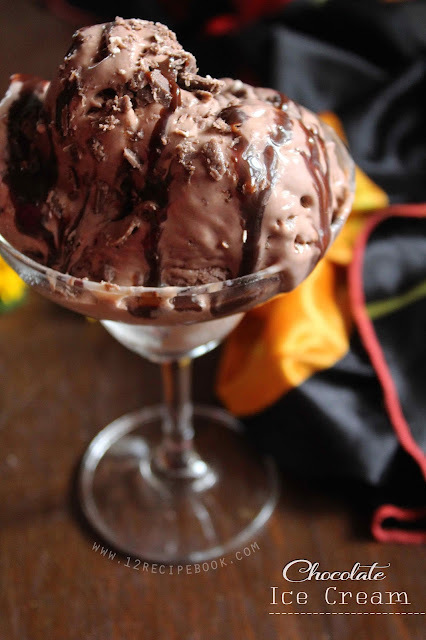 Scoop it and garnish on top with more chocolate pieces and chocolate syrup.